Posting a reply to a rude troll saying: [Yo are too dumb to treat and argue, get a live] Gave reason for Facebook to block me for 30 days! Centers for Disease Control and Prevention CDC posted an article on October 27, 2017. The title is: Get a flu shot before flu activity begins! Now is the time! Get your flu shot today! I commented by posting my opinion titled “Groundbreaking New Treatment for Influenza and other Viral Infections”. Many medical practitioners responded negatively, rudely, and without counter-arguments. Frankly speaking I don’t tolerate their nonsense, because I detest corrupt and dumb medical practitioners who run after profits and jobs only and display narrow mindedness. Darcie Sanders DiBasio None of that make sense. It was written by someone who did their “research” on google. The majority of symptoms come from the immune system response to fight off the attack by virus. Deep breathing will NOT help support symptoms, ward off complications, or help the immune system. No, baking soda will NOT cure the flu, reduce symptoms, or shorten the duration. As for deep breathing, indeed, that’s what unvaccinated people who end up with pneumonia as a complication wlll be doing, with an incentive spirometer, in the hospital. Tarig Anter Despite your unethical writing I will answer your “opinion”. Flu like many other health problems are indeed autoimmune disorder and this how it is classified all over the world beside google. The immune system malfunction needs to be understood and researched and the phony medical are failing to find out the patterns and the causes and surely any treatment. People must stop seeking treatment for symptoms but instead they must treat the underlying cause which is the immune system. Baking soda is surely not a treatment (where did you get this assumption?) the only use of Sodium Bicarbonate is to relieve nasal congestion to facilitate natural breathing. You cannot deny the power of Baking soda in this issue and any other chemicals are fancy nonsense if not harmful. I advise you to check treatments that utilize oxygen to elevate it levels and I will not mention them because you are “too smart”. Another clue which skeptics do not deserve is the internal fungal infections and the production of antibodies, plus the role of anti fungal diet and medications including the marvelous Baking Soda in treating dysfunctional immune system. Frankly speaking I detest dumb medical practitioners who are narrow minded. Jay Kanta Just a clown crank. Tarig Anter Is This how you spent your “professional” society their time looking only for cure or even to answer the above stated fact raised by your own “professional society” , which is: Both influenza infection and vaccination have been linked with autoimmune diseases and autoimmune adverse events. (Contemporary Challenges in Autoimmunity). People must have answers not gross medical mistakes and inefficiencies. Tarig Anter Crooks and unethical retards. Tarig Anter Jay Kanta I guess you better leave medicine for making a living and start a career marketing or clergy, never try engineering you fail spectacularly. Alderton Bron Tarig Anter people will not get answers by idiots on the internet that an hardly form sentences and do not understand the onus of proof. Tarig Anter Alderton Bron I hope those idiot will find an answer to this fact “Both influenza infection and vaccination have been linked with autoimmune diseases and autoimmune adverse events. (Contemporary Challenges in Autoimmunity)” instead of wasting my time defending strong hypothesis. Jay Kanta You’re not a scientist, and you’re not even close. You’re just a dumb anti-vaxxer. Jay Kanta You don’t have a hypothesis, you don’t have evidence. Tarig Anter Trolls must answer these two questions or shut up and stop their fake practice. 1. There two large population groups who have serious problems A. Those who took the vaccination then developed various sorts of autoimmune diseases; and B. Those who refuse to take the vaccine and developed flu; so what is going to happen to these two large groups??? 2. Both influenza infection and vaccination have been linked with autoimmune diseases and autoimmune adverse events. (Contemporary Challenges in Autoimmunity), how far are the understanding of immunity system can help in developing treatment for flu and other viral infections? Sorry, you have no evidence. Run along, ignorant troll. Jay Kanta You are not a scientist, you have no education in medicine. Immediately, I received notification from Facebook informing me that they removed one of my comments where I wrote: [Yo are too dumb to treat and argue, get a live] citing violation of Facebook Policies (Bullying, degrading, shaming, or harassing a specific person!!!!! ); and being blocked for 30 days. My response to Facebook blocking my account. I sent the following reaction to Facebook Help Center: [At least Facebook should try to look into the exchange to know who is rude and stupid. 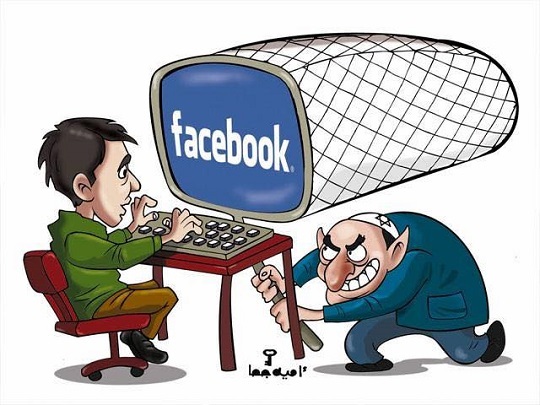 Facebook is protecting parasites corrupt idiots disgusting Jews; to hell with all of you. Replying to a series of trolls from an idiot, with one says [Just a clown crank.] 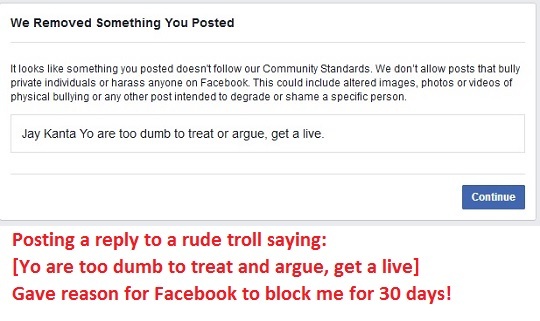 by saying [Yo are too dumb to treat and argue, get a live] you blocked me from posting for 30 days! Facebook, Drug companies, and Hollywood must be checked and regulated, or replaced, or shut down. This promotion of the annual flu shot is a fraud. Why? Because the doctors guess what strain of flu is going to go around and they almost always get it wrong and theses viruses and germs keep mutating anyways. As well, these shots are filled with toxic heavy metals used as “accelerants”. Why should people get useless shots that have toxic heavy metals in them? Personally, I have never stood in line for these like the sheep around me in society. In the past 20 years or so, I have been sick with cold or flu maybe 3 or 4 times. People should not get these shots. Even their own fake science gave it 48 % success! Something really creepy weird and perverse I’m now clearly seeing about Facebook, after experiencing wrongful suspensions, is that they hide from your friends the fact that you are now unavailable or “suspended”. Friends suddenly want to continue a conversation, or want to find out how something went, perhaps were asked to wait for you to get back to them… And then suddenly you disappear. They can write you but all they see is that you don’t respond, so anything could be imagined, anything. These could be your kids, your mother, your business partner, your doctor… anyone. For many people just having your Facebook connection is enough, and most don’t even know about their suspension system. Especially the older folks. I want to know what we can do about this! I’ve been suspended 10 times already in less than three years !